Precise financial series predicting has long been a difficult problem because of unstableness and many noises within the series. 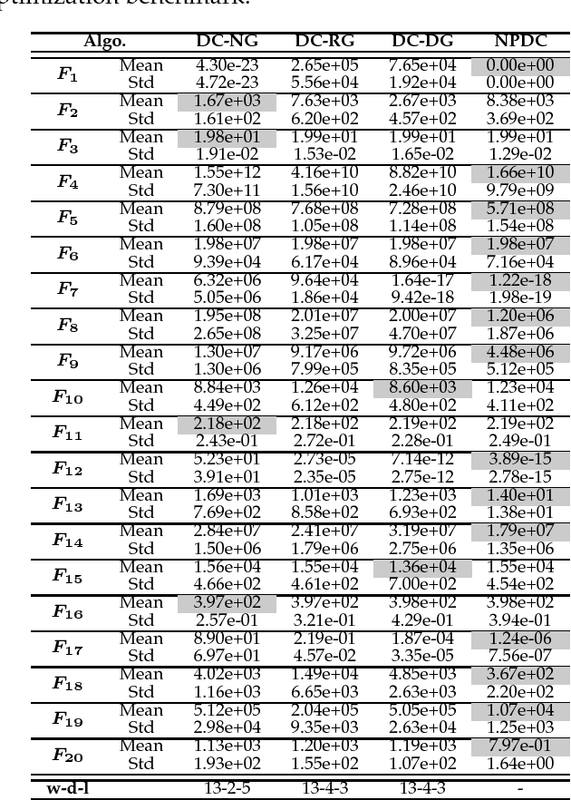 Although Traditional time series models like ARIMA and GARCH have been researched and proved to be effective in predicting, their performances are still far from satisfying. Machine Learning, as an emerging research field in recent years, has brought about many incredible improvements in tasks such as regressing and classifying, and it's also promising to exploit the methodology in financial time series predicting. 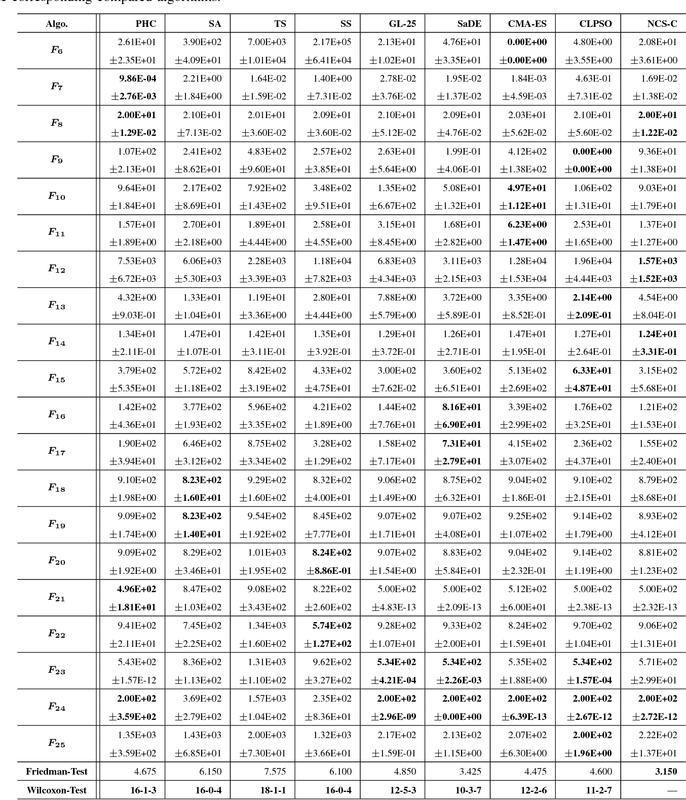 In this paper, the predicting precision of financial time series between traditional time series models and mainstream machine learning models including some state-of-the-art ones of deep learning are compared through experiment using real stock index data from history. The result shows that machine learning as a modern method far surpasses traditional models in precision. This paper aims to study how the population size affects the computation time of evolutionary algorithms in a rigorous way. 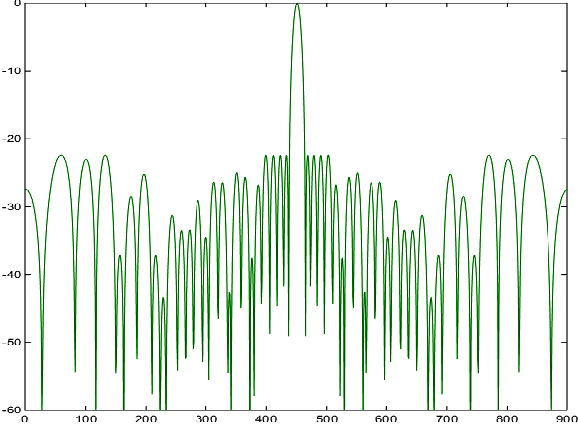 The computation time of an evolutionary algorithm can be measured by either the expected number of generations (hitting time) or the expected number of fitness evaluations (running time) to find an optimal solution. Population scalability is the ratio of the expected hitting time between a benchmark algorithm and an algorithm using a larger population size. Average drift analysis is presented for comparing the expected hitting time of two algorithms and estimating lower and upper bounds on population scalability. Several intuitive beliefs are rigorously analysed. It is prove that (1) using a population sometimes increases rather than decreases the expected hitting time; (2) using a population cannot shorten the expected running time of any elitist evolutionary algorithm on unimodal functions in terms of the time-fitness landscape, but this is not true in terms of the distance-based fitness landscape; (3) using a population cannot always reduce the expected running time on fully-deceptive functions, which depends on the benchmark algorithm using elitist selection or random selection. The utilization of populations is one of the most important features of evolutionary algorithms (EAs). There have been many studies analyzing the impact of different population sizes on the performance of EAs. However, most of such studies are based computational experiments, except for a few cases. The common wisdom so far appears to be that a large population would increase the population diversity and thus help an EA. Indeed, increasing the population size has been a commonly used strategy in tuning an EA when it did not perform as well as expected for a given problem. He and Yao (2002) showed theoretically that for some problem instance classes, a population can help to reduce the runtime of an EA from exponential to polynomial time. This paper analyzes the role of population further in EAs and shows rigorously that large populations may not always be useful. Conditions, under which large populations can be harmful, are discussed in this paper. Although the theoretical analysis was carried out on one multi-modal problem using a specific type of EAs, it has much wider implications. The analysis has revealed certain problem characteristics, which can be either the problem considered here or other problems, that lead to the disadvantages of large population sizes. The analytical approach developed in this paper can also be applied to analyzing EAs on other problems. 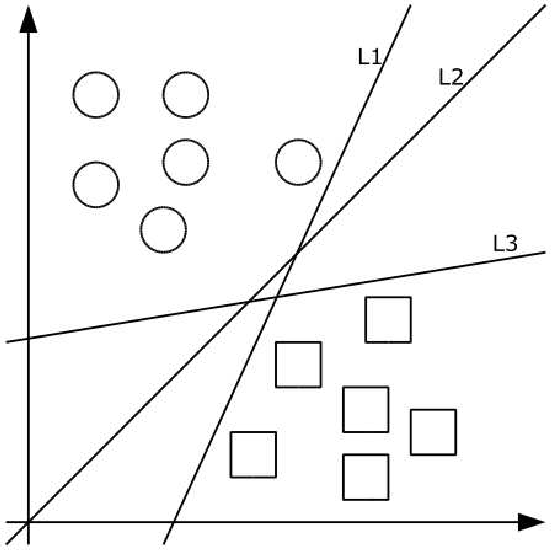 The quality of solution sets generated by decomposition-based evolutionary multiobjective optimisation (EMO) algorithms depends heavily on the consistency between a given problem's Pareto front shape and the specified weights' distribution. A set of weights distributed uniformly in a simplex often lead to a set of well-distributed solutions on a Pareto front with a simplex-like shape, but may fail on other Pareto front shapes. It is an open problem on how to specify a set of appropriate weights without the information of the problem's Pareto front beforehand. In this paper, we propose an approach to adapt the weights during the evolutionary process (called AdaW). AdaW progressively seeks a suitable distribution of weights for the given problem by elaborating five parts in the weight adaptation --- weight generation, weight addition, weight deletion, archive maintenance, and weight update frequency. Experimental results have shown the effectiveness of the proposed approach. 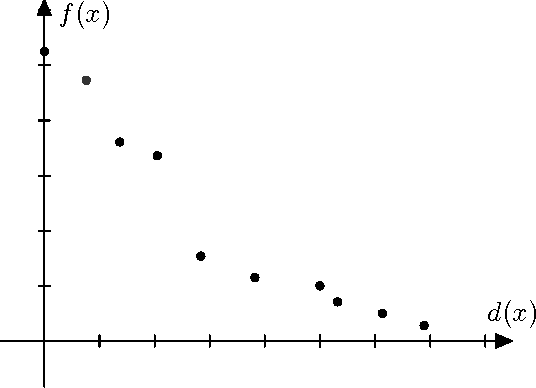 AdaW works well for Pareto fronts with very different shapes: 1) the simplex-like, 2) the inverted simplex-like, 3) the highly nonlinear, 4) the disconnect, 5) the degenerated, 6) the badly-scaled, and 7) the high-dimensional. One of the most common approaches for multiobjective optimization is to generate a solution set that well approximates the whole Pareto-optimal frontier to facilitate the later decision-making process. However, how to evaluate and compare the quality of different solution sets remains challenging. 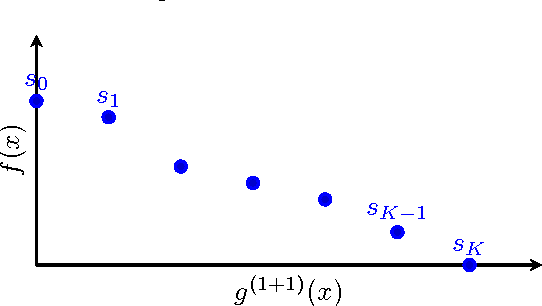 Existing measures typically require additional problem knowledge and information, such as a reference point or a substituted set of the Pareto-optimal frontier. In this paper, we propose a quality measure, called dominance move (DoM), to compare solution sets generated by multiobjective optimizers. Given two solution sets, DoM measures the minimum sum of move distances for one set to weakly Pareto dominate the other set. DoM can be seen as a natural reflection of the difference between two solutions, capturing all aspects of solution sets' quality, being compliant with Pareto dominance, and does not need any additional problem knowledge and parameters. 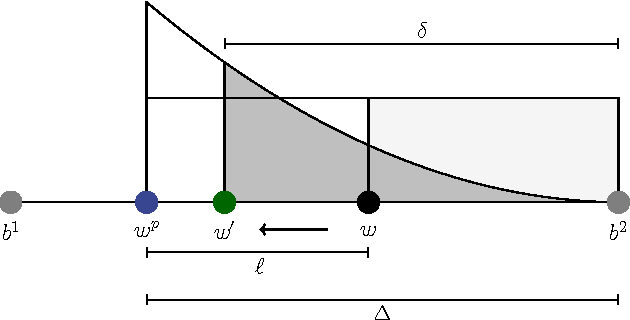 We present an exact method to calculate the DoM in the biobjective case. 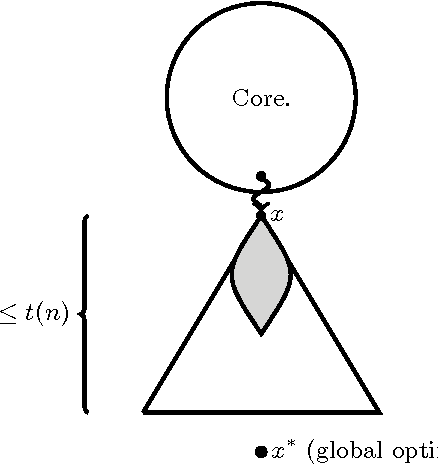 We show the necessary condition of constructing the optimal partition for a solution set's minimum move, and accordingly propose an efficient algorithm to recursively calculate the DoM. Finally, DoM is evaluated on several groups of artificial and real test cases as well as by a comparison with two well-established quality measures. The convergence, convergence rate and expected hitting time play fundamental roles in the analysis of randomised search heuristics. 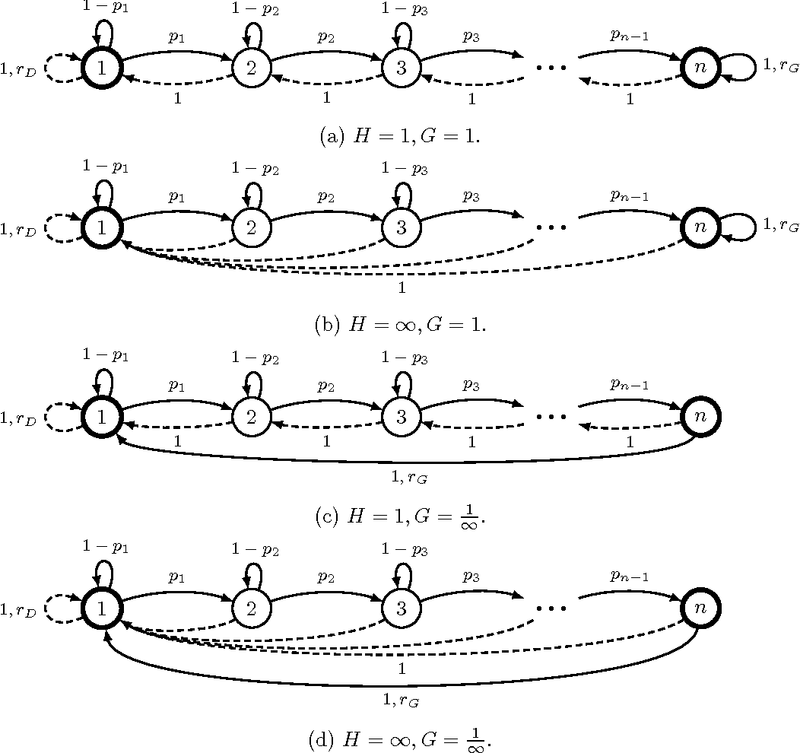 This paper presents a unified Markov chain approach to studying them. 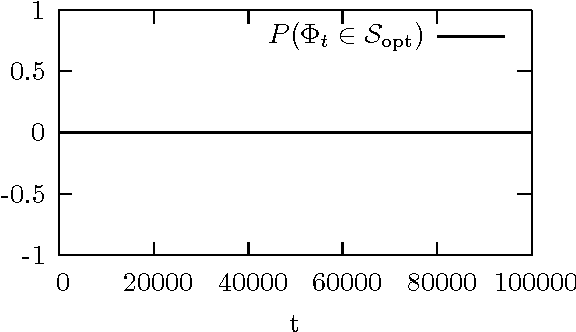 Using the approach, the sufficient and necessary conditions of convergence in distribution are established. 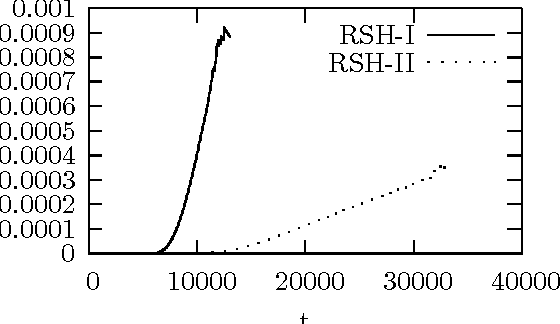 Then the average convergence rate is introduced to randomised search heuristics and its lower and upper bounds are derived. Finally, novel average drift analysis and backward drift analysis are proposed for bounding the expected hitting time. 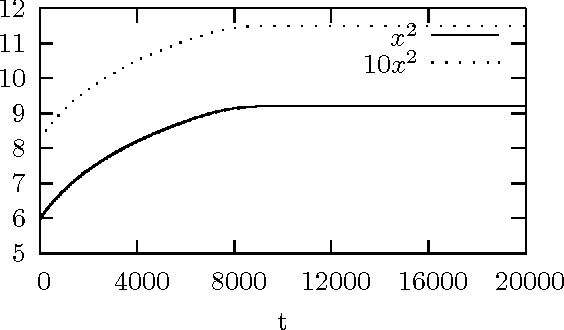 A computational study is also conducted to investigate the convergence, convergence rate and expected hitting time. The theoretical study belongs to a prior and general study while the computational study belongs to a posterior and case study. With the rise and development of deep learning, computer vision has been tremendously transformed and reshaped. As an important research area in computer vision, scene text detection and recognition has been inescapably influenced by this wave of revolution, consequentially entering the era of deep learning. In recent years, the community has witnessed substantial advancements in mindset, approach and performance. 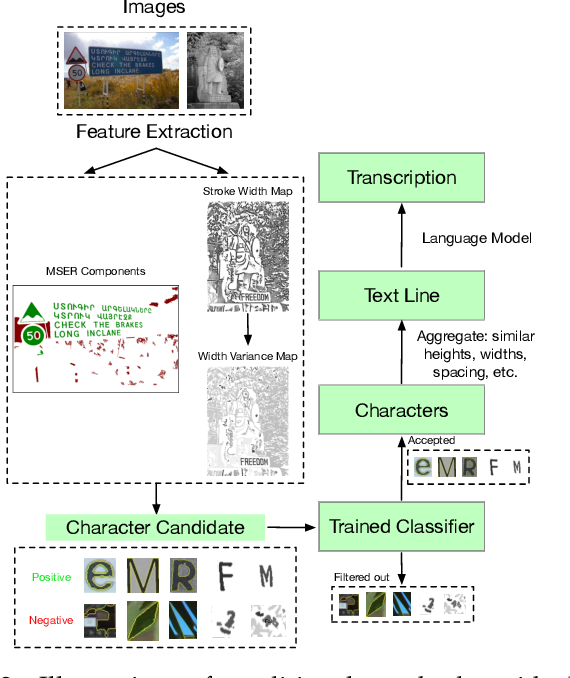 This survey is aimed at summarizing and analyzing the major changes and significant progresses of scene text detection and recognition in the deep learning era. Through this article, we devote to: (1) introduce new insights and ideas; (2) highlight recent techniques and benchmarks; (3) look ahead into future trends. Specifically, we will emphasize the dramatic differences brought by deep learning and the grand challenges still remained. We expect that this review paper would serve as a reference book for researchers in this field. Related resources are also collected and compiled in our Github repository: https://github.com/Jyouhou/SceneTextPapers. 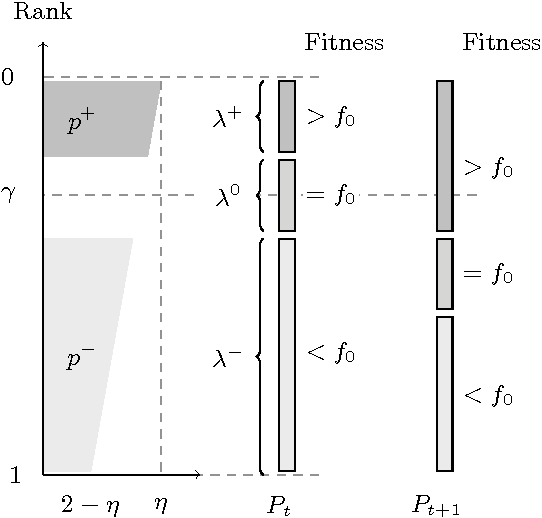 The hardness of fitness functions is an important research topic in the field of evolutionary computation. In theory, the study can help understanding the ability of evolutionary algorithms. In practice, the study may provide a guideline to the design of benchmarks. The aim of this paper is to answer the following research questions: Given a fitness function class, which functions are the easiest with respect to an evolutionary algorithm? Which are the hardest? How are these functions constructed? The paper provides theoretical answers to these questions. 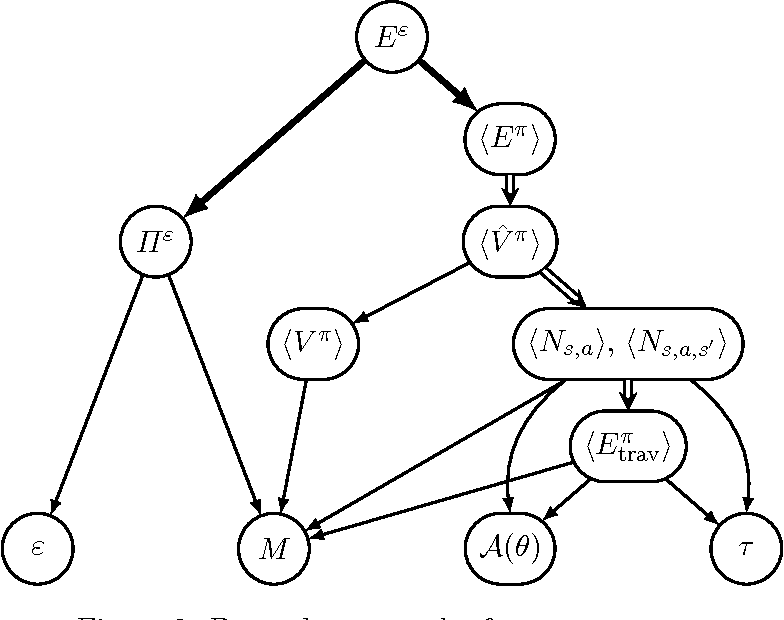 The easiest and hardest fitness functions are constructed for an elitist (1+1) evolutionary algorithm to maximise a class of fitness functions with the same optima. It is demonstrated that the unimodal functions are the easiest and deceptive functions are the hardest in terms of the time-fitness landscape. The paper also reveals that the easiest fitness function to one algorithm may become the hardest to another algorithm, and vice versa. The interplay between mutation and selection plays a fundamental role in the behaviour of evolutionary algorithms (EAs). However, this interplay is still not completely understood. This paper presents a rigorous runtime analysis of a non-elitist population-based EA that uses the linear ranking selection mechanism. The analysis focuses on how the balance between parameter $\eta$, controlling the selection pressure in linear ranking, and parameter $\chi$ controlling the bit-wise mutation rate, impacts the runtime of the algorithm. 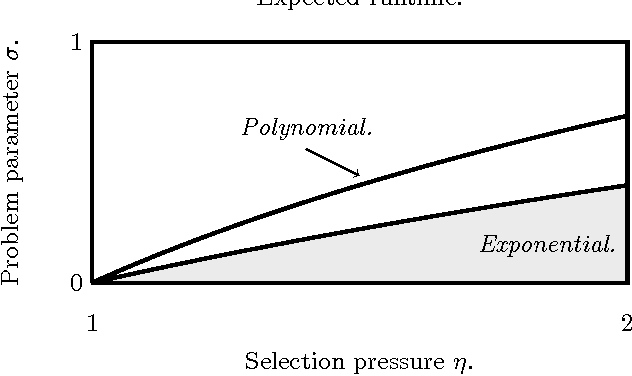 The results point out situations where a correct balance between selection pressure and mutation rate is essential for finding the optimal solution in polynomial time. 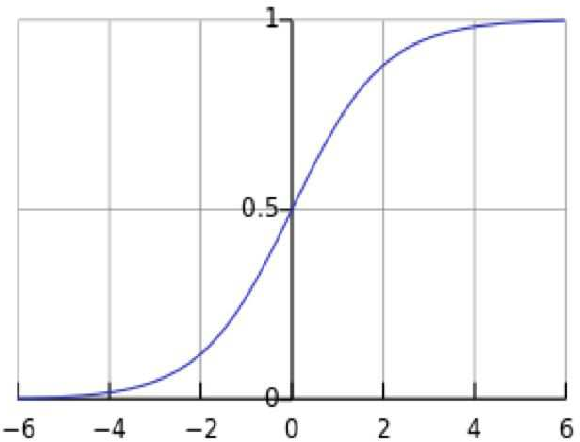 In particular, it is shown that there exist fitness functions which can only be solved in polynomial time if the ratio between parameters $\eta$ and $\chi$ is within a narrow critical interval, and where a small change in this ratio can increase the runtime exponentially. Furthermore, it is shown quantitatively how the appropriate parameter choice depends on the characteristics of the fitness function. In addition to the original results on the runtime of EAs, this paper also introduces a very useful analytical tool, i.e., multi-type branching processes, to the runtime analysis of non-elitist population-based EAs. 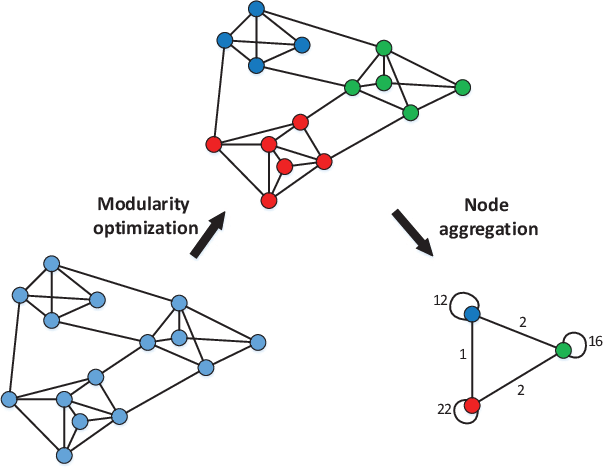 The topological information is essential for studying the relationship between nodes in a network. 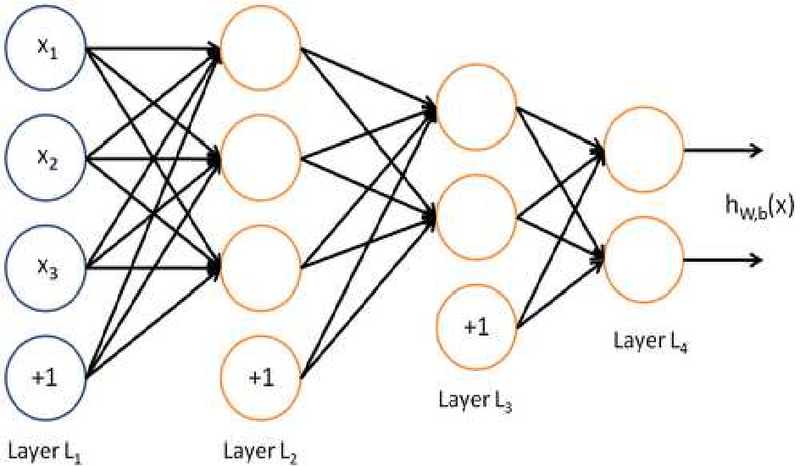 Recently, Network Representation Learning (NRL), which projects a network into a low-dimensional vector space, has been shown their advantages in analyzing large-scale networks. However, most existing NRL methods are designed to preserve the local topology of a network, they fail to capture the global topology. To tackle this issue, we propose a new NRL framework, named HSRL, to help existing NRL methods capture both the local and global topological information of a network. Specifically, HSRL recursively compresses an input network into a series of smaller networks using a community-awareness compressing strategy. Then, an existing NRL method is used to learn node embeddings for each compressed network. Finally, the node embeddings of the input network are obtained by concatenating the node embeddings from all compressed networks. 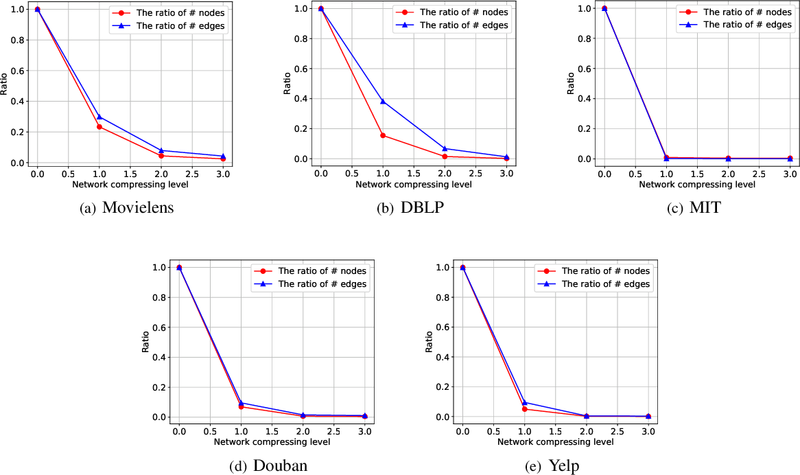 Empirical studies for link prediction on five real-world datasets demonstrate the advantages of HSRL over state-of-the-art methods. Large-scale optimization problems that involve thousands of decision variables have extensively arisen from various industrial areas. As a powerful optimization tool for many real-world applications, evolutionary algorithms (EAs) fail to solve the emerging large-scale problems both effectively and efficiently. In this paper, we propose a novel Divide-and-Conquer (DC) based EA that can not only produce high-quality solution by solving sub-problems separately, but also highly utilizes the power of parallel computing by solving the sub-problems simultaneously. Existing DC-based EAs that were deemed to enjoy the same advantages of the proposed algorithm, are shown to be practically incompatible with the parallel computing scheme, unless some trade-offs are made by compromising the solution quality. Simultaneously utilizing several complementary solvers is a simple yet effective strategy for solving computationally hard problems. However, manually building such solver portfolios typically requires considerable domain knowledge and plenty of human effort. As an alternative, automatic construction of parallel portfolios (ACPP) aims at automatically building effective parallel portfolios based on a given problem instance set and a given rich design space. One promising way to solve the ACPP problem is to explicitly group the instances into different subsets and promote a component solver to handle each of them.This paper investigates solving ACPP from this perspective, and especially studies how to obtain a good instance grouping.The experimental results showed that the parallel portfolios constructed by the proposed method could achieve consistently superior performances to the ones constructed by the state-of-the-art ACPP methods,and could even rival sophisticated hand-designed parallel solvers. 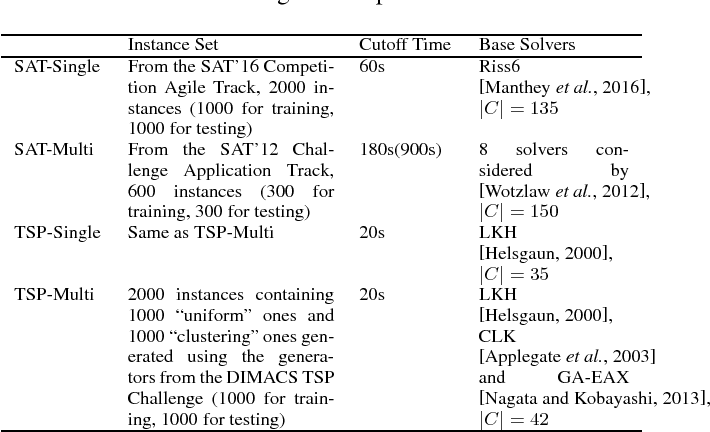 This paper studies improving solvers based on their past solving experiences, and focuses on improving solvers by offline training. Specifically, the key issues of offline training methods are discussed, and research belonging to this category but from different areas are reviewed in a unified framework. Existing training methods generally adopt a two-stage strategy in which selecting the training instances and training instances are treated in two independent phases. This paper proposes a new training method, dubbed LiangYi, which addresses these two issues simultaneously. 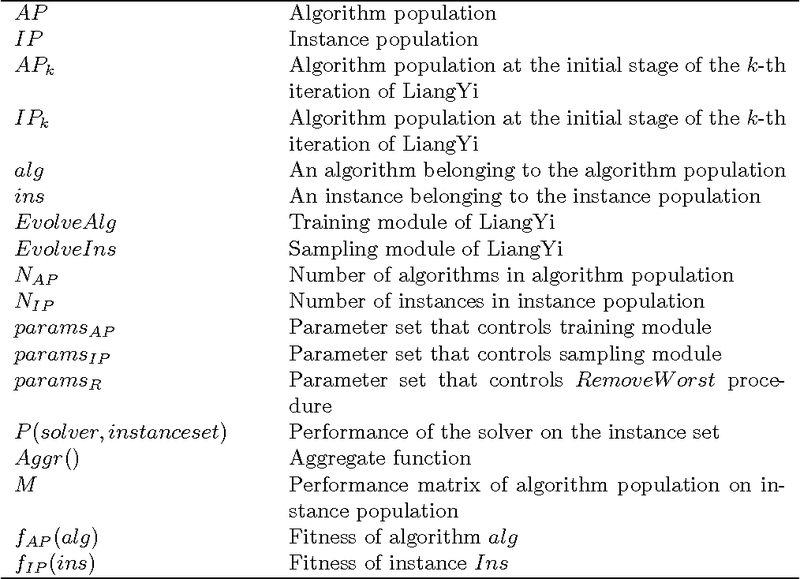 LiangYi includes a training module for a population-based solver and an instance sampling module for updating the training instances. The idea behind LiangYi is to promote the population-based solver by training it (with the training module) to improve its performance on those instances (discovered by the sampling module) on which it performs badly, while keeping the good performances obtained by it on previous instances. 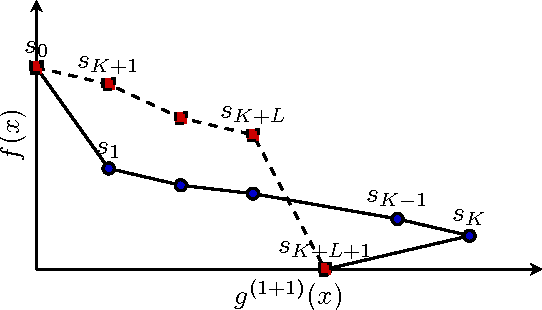 An instantiation of LiangYi on the Travelling Salesman Problem is also proposed. 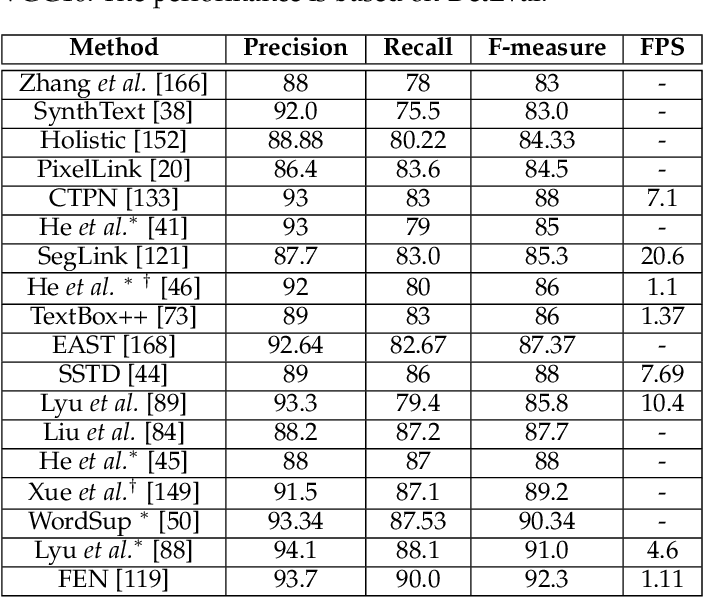 Empirical results on a huge testing set containing 10000 instances showed LiangYi could train solvers that perform significantly better than the solvers trained by other state-of-the-art training method. Moreover, empirical investigation of the behaviours of LiangYi confirmed it was able to continuously improve the solver through training. Subspace clustering aims to group data points into multiple clusters of which each corresponds to one subspace. 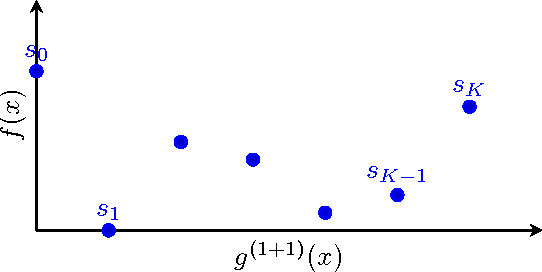 Most existing subspace clustering methods assume that the data could be linearly represented with each other in the input space. In practice, however, this assumption is hard to be satisfied. 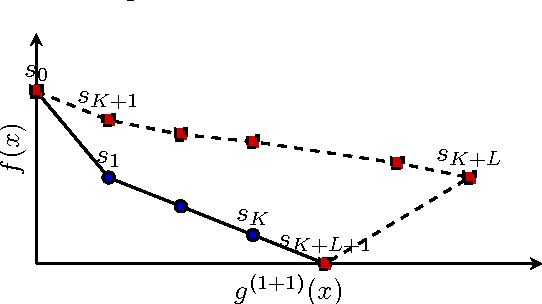 To achieve nonlinear subspace clustering, we propose a novel method which consists of the following three steps: 1) projecting the data into a hidden space in which the data can be linearly reconstructed from each other; 2) calculating the globally linear reconstruction coefficients in the kernel space; 3) truncating the trivial coefficients to achieve robustness and block-diagonality, and then achieving clustering by solving a graph Laplacian problem. Our method has the advantages of a closed-form solution and capacity of clustering data points that lie in nonlinear subspaces. 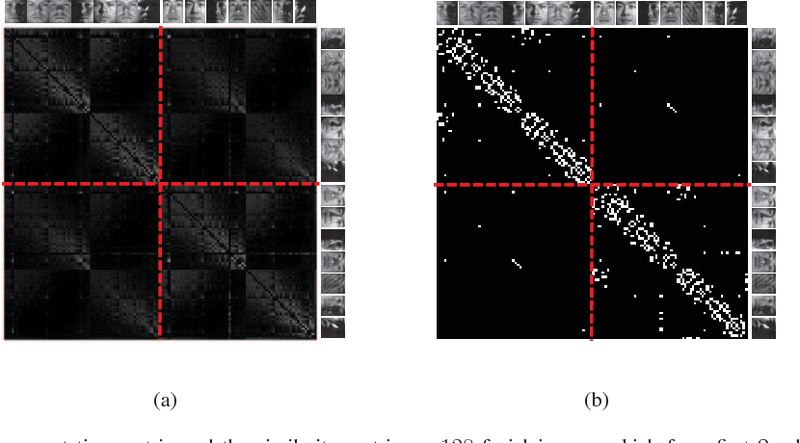 The first advantage makes our method efficient in handling large-scale data sets, and the second one enables the proposed method to address the nonlinear subspace clustering challenge. Extensive experiments on five real-world datasets demonstrate the effectiveness and the efficiency of the proposed method in comparison with ten state-of-the-art approaches regarding four evaluation metrics. Rapid development of evolutionary algorithms in handling many-objective optimization problems requires viable methods of visualizing a high-dimensional solution set. 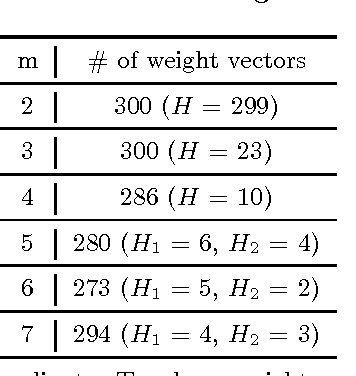 Parallel coordinates which scale well to high-dimensional data are such a method, and have been frequently used in evolutionary many-objective optimization. 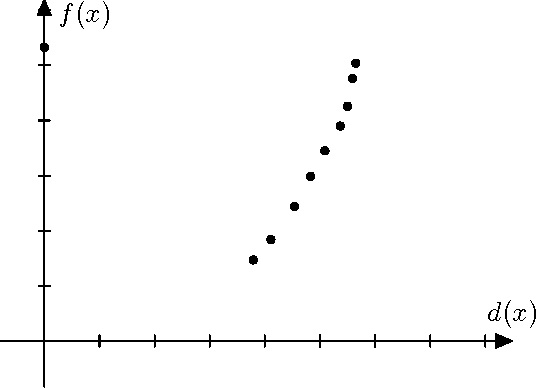 However, the parallel coordinates plot is not as straightforward as the classic scatter plot to present the information contained in a solution set. In this paper, we make some observations of the parallel coordinates plot, in terms of comparing the quality of solution sets, understanding the shape and distribution of a solution set, and reflecting the relation between objectives. We hope that these observations could provide some guidelines as to the proper use of parallel coordinates in evolutionary many-objective optimization. 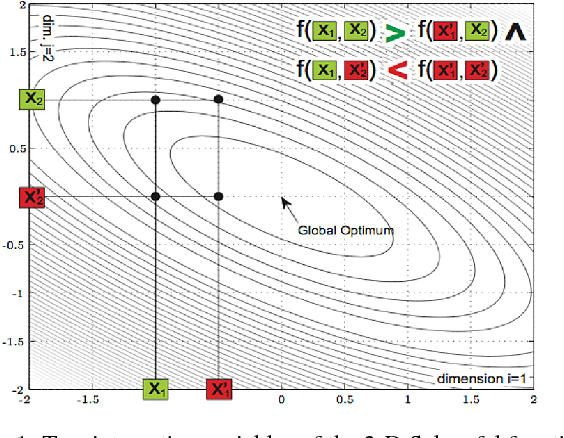 Existing studies on dynamic multi-objective optimization focus on problems with time-dependent objective functions, while the ones with a changing number of objectives have rarely been considered in the literature. Instead of changing the shape or position of the Pareto-optimal front/set when having time-dependent objective functions, increasing or decreasing the number of objectives usually leads to the expansion or contraction of the dimension of the Pareto-optimal front/set manifold. Unfortunately, most existing dynamic handling techniques can hardly be adapted to this type of dynamics. 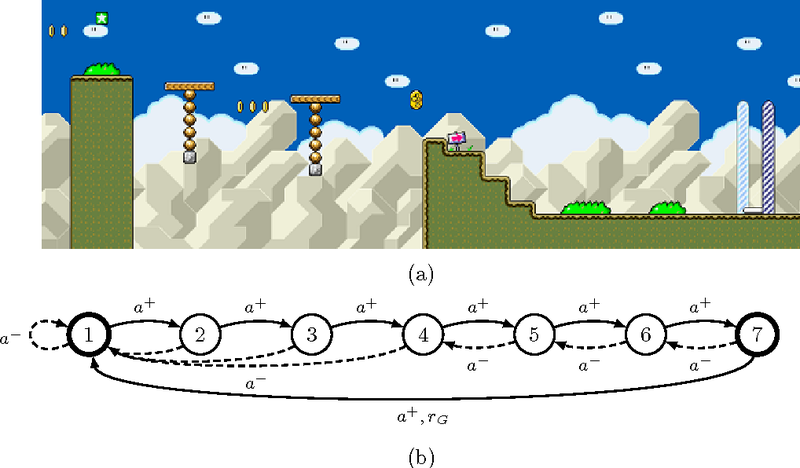 In this paper, we report our attempt toward tackling the dynamic multi-objective optimization problems with a changing number of objectives. We implement a new two-archive evolutionary algorithm which maintains two co-evolving populations simultaneously. In particular, these two populations are complementary to each other: one concerns more about the convergence while the other concerns more about the diversity. The compositions of these two populations are adaptively reconstructed once the environment changes. In addition, these two populations interact with each other via a mating selection mechanism. 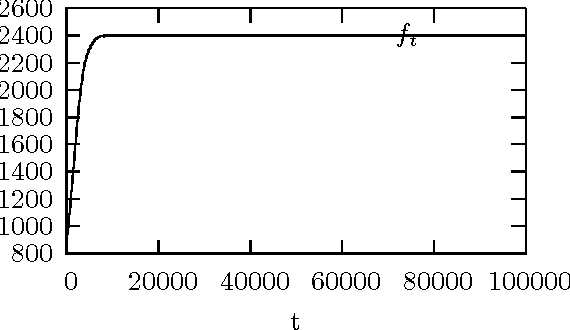 Comprehensive experiments are conducted on various benchmark problems with a time-dependent number of objectives. Empirical results fully demonstrate the effectiveness of our proposed algorithm. Most existing studies on evolutionary multi-objective optimization focus on approximating the whole Pareto-optimal front. Nevertheless, rather than the whole front, which demands for too many points (especially in a high-dimensional space), the decision maker might only interest in a partial region, called the region of interest. In this case, solutions outside this region can be noisy to the decision making procedure. Even worse, there is no guarantee that we can find the preferred solutions when tackling problems with complicated properties or a large number of objectives. In this paper, we develop a systematic way to incorporate the decision maker's preference information into the decomposition-based evolutionary multi-objective optimization methods. 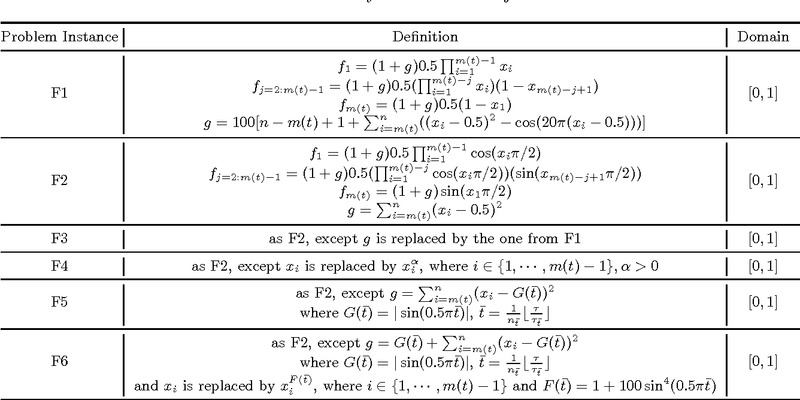 Generally speaking, our basic idea is a non-uniform mapping scheme by which the originally uniformly distributed reference points on a canonical simplex can be mapped to the new positions close to the aspiration level vector specified by the decision maker. By these means, we are able to steer the search process towards the region of interest either directly or in an interactive manner and also handle a large number of objectives. In the meanwhile, the boundary solutions can be approximated given the decision maker's requirements. Furthermore, the extent of the region of the interest is intuitively understandable and controllable in a closed form. Extensive experiments, both proof-of-principle and on a variety of problems with 3 to 10 objectives, fully demonstrate the effectiveness of our proposed method for approximating the preferred solutions in the region of interest. Exploration has been a crucial part of reinforcement learning, yet several important questions concerning exploration efficiency are still not answered satisfactorily by existing analytical frameworks. These questions include exploration parameter setting, situation analysis, and hardness of MDPs, all of which are unavoidable for practitioners. To bridge the gap between the theory and practice, we propose a new analytical framework called the success probability of exploration. We show that those important questions of exploration above can all be answered under our framework, and the answers provided by our framework meet the needs of practitioners better than the existing ones. More importantly, we introduce a concrete and practical approach to evaluating the success probabilities in certain MDPs without the need of actually running the learning algorithm. We then provide empirical results to verify our approach, and demonstrate how the success probability of exploration can be used to analyse and predict the behaviours and possible outcomes of exploration, which are the keys to the answer of the important questions of exploration. Divide and Conquer (DC) is conceptually well suited to high-dimensional optimization by decomposing a problem into multiple small-scale sub-problems. However, appealing performance can be seldom observed when the sub-problems are interdependent. This paper suggests that the major difficulty of tackling interdependent sub-problems lies in the precise evaluation of a partial solution (to a sub-problem), which can be overwhelmingly costly and thus makes sub-problems non-trivial to conquer. Thus, we propose an approximation approach, named Divide and Approximate Conquer (DAC), which reduces the cost of partial solution evaluation from exponential time to polynomial time. Meanwhile, the convergence to the global optimum (of the original problem) is still guaranteed. 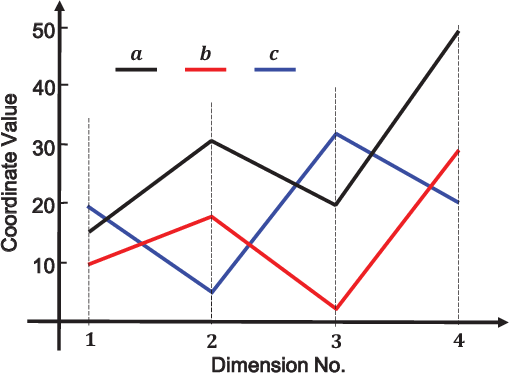 The effectiveness of DAC is demonstrated empirically on two sets of non-separable high-dimensional problems. Evolutionary Algorithms (EAs) have been shown to be powerful tools for complex optimization problems, which are ubiquitous in both communication and big data analytics. 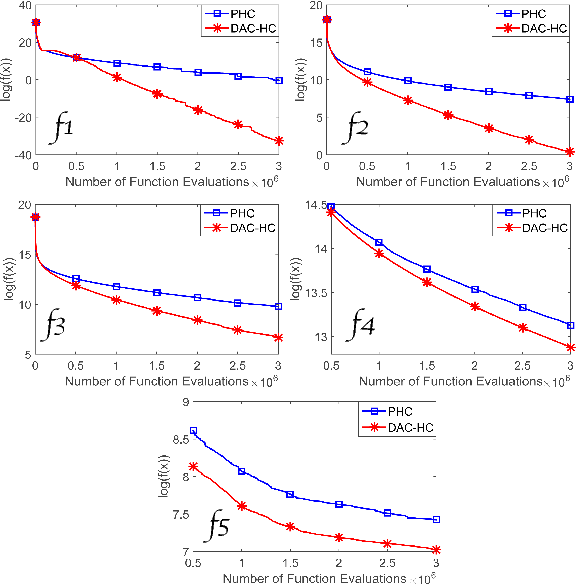 This paper presents a new EA, namely Negatively Correlated Search (NCS), which maintains multiple individual search processes in parallel and models the search behaviors of individual search processes as probability distributions. NCS explicitly promotes negatively correlated search behaviors by encouraging differences among the probability distributions (search behaviors). By this means, individual search processes share information and cooperate with each other to search diverse regions of a search space, which makes NCS a promising method for non-convex optimization. The cooperation scheme of NCS could also be regarded as a novel diversity preservation scheme that, different from other existing schemes, directly promotes diversity at the level of search behaviors rather than merely trying to maintain diversity among candidate solutions. 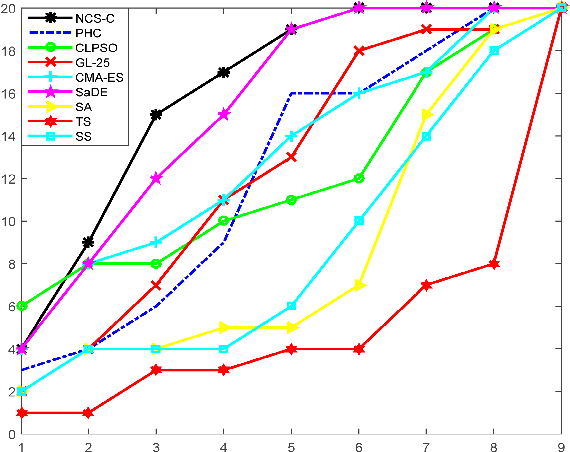 Empirical studies showed that NCS is competitive to well-established search methods in the sense that NCS achieved the best overall performance on 20 multimodal (non-convex) continuous optimization problems. The advantages of NCS over state-of-the-art approaches are also demonstrated with a case study on the synthesis of unequally spaced linear antenna arrays.